These are 24 Super Cute Cupcake Toppers. 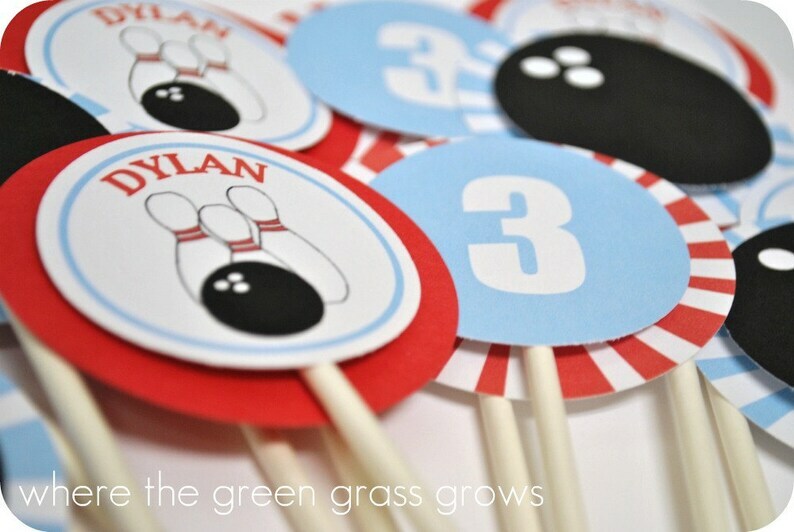 They feature a Bowling Ball, Age of the child and Bowling Ball with 3 Bowling Pins. They have a 3D effect which gives it dimension. The art measurement is 2 1/2"
The white stick length is 4"
Other items in photo's are not included, they are available in my shop. Other items pictured are not included, but are available in my shop for purchase. Exactly as ordered. Fast delivery. Shipped fast and was exactly what I wanted. Adorable banner and great quality. I love it!